I spent the majority of my life as a woman of science, trained that I must “see to believe”, as in, observe some kind of empirical evidence of all phenomena I choose to have faith in. Naturally, I had no faith in the afterlife or any life beyond my current physical body, as I was unable to observe it or to find even a shred of proof. Could psychic mediums and spirit guides actually be REAL? To address this question and so much more, I invited Bill to join me on Lucid Planet Radio to discuss what it means to be a psychic medium, how he developed his skills, how he does his work and the types of messages that typically come through from the spirit world. You can listen to the whole interview here and read so much more in Bill’s book, Expect the Unexpected: Bringing Peace, Healing, and Hope from the Other Side. 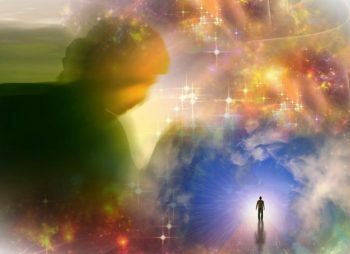 What distinguishes someone as a psychic medium is the the way that they are able to connect directly with spirit to bring through specific information. Bill describes himself as channel for information to come through from the other side. This is not an exact science, but it is more like a radio receiver that receives subtle impressions from spirit which he then trusts and transmits to those who have come to see him. He explains that information is always coming through, but he is able to ignore it to a certain extent, except when people ask him for help (he equates it to tuning out someone’s nagging). He doesn’t “see dead people” like in The Sixth Sense, but rather, he can tune in to their voices speaking to him (this type of mediumship is typically described as “clairaudience”). Bill discovered his gifts early in life, when his mother began communicating with him after her untimely death when he was 15. While he remained ‘in the closet’ with his gift for a long time, thinking he was crazy or that it wasn’t real, he eventually learned to embrace his truth and accept that channeling messages of healing from the other side is indeed his calling. Ascended Masters: These are people who lived highly evolved spiritual lives in the physical realm who continue their journey in spirit to help the living. Their vibration is energetically higher than the previous two groups, and the ascended masters are thought to guide many people. At any point, each of us may have a combination of these spirit guides watching over us and protecting us. All we have to do is ask for their help, and to look for the signs of their presence, which can manifest in so many different ways: Dreams, songs on the radio, the numbers on the clock (like 11:11), feelings of warmth, as well as actual visions or voices. Prayer, which means establishing your individual connection to the divine source, is an excellent way to communicate with your guides. Bill just reminds us to always Expect the Unexpected in how your prayers might be answered. Bill also explains that YES, darker/denser spirits do exist, but he firmly and verbally does not allow those vibrations to enter his space. He chooses to focus on the healing messages and higher vibrational energies. Whatever our vibration, we will attract more of that, and so we all absolutely have the power and ability to protect our spiritual space by maintaining a high vibration through mediation and prayer. We do not need to be afraid of dark or dense spiritual energies, we simply must affirm our boundaries that they are not permitted in our space. The other main message from the other side revolves around leaving everything physical behind, including money, power or fame. There is NO MONEY on the other side. There is also no time on the other side, and there are no celebrities or wealthy people. We are all one, and everyone is EQUAL. Given how easy it is to lose sight of this in our world, this is an incredibly powerful message. The expression, “You can’t take it with you” really hits home here. While we might need money to survive in this world, for now anyway, LOVE is truly the universal currency that matters. To hear much more from Bill Philipps on mediumship and channeling, please listen to the full podcast on Lucid Planet Radio, check out his amazing book, Expect the Unexpected: Bringing Peace, Healing, and Hope from the Other Side, and visit his website to find an audience reading near you or schedule a private session, and experience it for yourself. Dr. Kelly Neff is a renowned psychologist, author, founder of The Lucid Planetand the host of the hit new show, Lucid Planet Radio. She has reached millions of people with her articles on psychology, transformation, and wellness. Before she became a full-time author, Dr. Neff spent seven years as a psychology professor where she helped thousands of students learn about health, relationships, love and sexuality, and co-authored the groundbreaking manual in her field, Teaching Psychology Online. She has a B.A. in Psychology from Georgetown University and an M.A. and Ph.D. in Social Psychology from Claremont Graduate University. Dr. Neff is an avid participant in the visionary art, music and culture scene in her home state of Colorado and beyond. 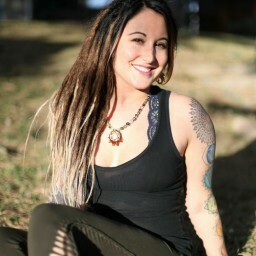 When she’s not at home with her partner, EDM Producer Bass Traveler, and their animals, you might find her traveling the globe to give workshops, speeches and do research at transformational festivals like Sonic Bloom, Envision, FireflyLucidity and more. In her spare time, Dr. Neff loves nature, practicing yoga, meditation and Reiki, as well as dancing, socializing and writing. Email her! Or visit her at The Lucid Planet, where this article first appeared. Blessings and Love!